Today marks the time when 1 actually does equal 2. Just as the 4 Series replaced the 3 Series Coupe, now the 2 Series takes the place of the 1 Series Coupe. Most excitingly, there’s a hot M version available straight out of the box! Read on for more details. EngageSportMode was a huge fan of the previous 1 Series M Coupé, dishing out a prize to it in our very first awards ‘ceremony‘ back in 2011. We actually gave it the prize of ‘Car we’d most like to test drive’ which, unfortunately, never came to fruition. 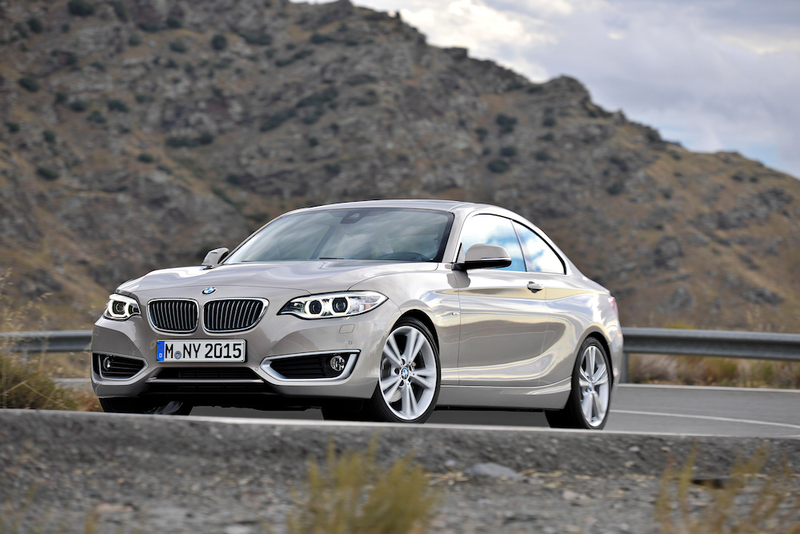 However, as of March 2014, there will appear a new contender for that award in the shape of the BMW M235i Coupé. But this is not all about a replacement for the 1M Coupé. 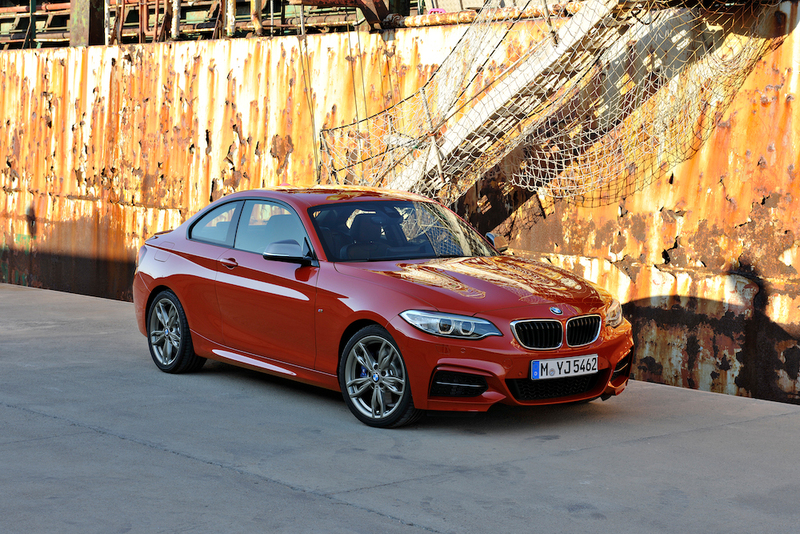 The 2 Series is a brand new model in its own right, being longer, lower and wider than the previous 1 Series Coupé. This equates to 19mm more front headroom, 22mm increased rear legroom and an extra 20 litres of boot space – now at 390 litres. With increased size comes a reduction in the slight awkwardness of the 1 Series Coupé’s styling, now looking better proportioned and less boxy. Without question it is a handsome car, and looks like a model in its own right rather than an accommodated afterthought. Going on sale in March next year, the initial 2 Series range will consist of a 220i four-cylinder petrol, 220d four-cylinder diesel and the aforementioned M235i. Both the 220i and 220d pack 184 bhp, but the diesel boasts substantially superior torque at 280 lb ft against the petrol’s 199 lb ft. 0-62 mph times are almost identical for the ‘warm’ models, with 7.0 against 7.2 seconds in favour of the petrol version. Naturally, the derv model shows its biggest advantage in the form of 58.9 mpg compared to just 44.8 mpg for the 220i. Both models are available with the highly regarded ZF eight-speed automatic gearbox, which brings improvements to both economy and performance. Star of the show is, undoubtedly, the hot M235i with its twin-turbo 3.2 litre straight six engine, churning out 326 bhp and 332 lb ft of torque. It’s worth remembering that the old E46 M3 made just slightly more power at 338 bhp, and with substantially less torque! the M235i is unquestionably a performance powerhouse in a small body shell. Acceleration from 0-62 mph takes 5 seconds dead for the six-speed manual, whereas that eight-speed auto’ drops it even lower to 4.8 seconds. BMW’s figures are usually slightly conservative, so expect the reality to be even quicker. Top speed should be a limited 155 mph, with economy a respectable 34.9 mpg combined for the manual or 37.2 in the automatic. Lowered suspension, uprated M braking system and limited-slip differential give the 2 Series hardware to back up its power output. A classic BMW 50:50 rear wheel drive weight distribution should also help contribute to impressive handling characteristics. All three models will feature a Driving Performance Control switch (presumably with Sport mode), automatic climate control, DAB radio and Bluetooth integration as standard. Sport spec on 220i/220d models adds auto-dimming rear mirrors, sport seats and 17″ alloy wheels, whilst M Sport specification includes 10mm lowered suspension, a unique M bodykit, 18″ wheels and various interior trinkets. Nestling between the two is the ‘Modern’ trim line which adds parr-leather trim and exclusive 17″ wheels to the Sport spec. Various M Performance enhancements are on the options list for the 220i and 220d, including bigger brakes with red, orange or yellow calipers and a 20mm lowered suspension kit with red-painted coil springs and bespoke dampers. Snazzy. Price wise, the basic 220i SE will start at £25,040 OTR, with the 220d kicking in now much more at £25,865. Given the slight difference, unless you have an abject aversion to diesel, ESM would strongly advise you take the black-pump powered one. 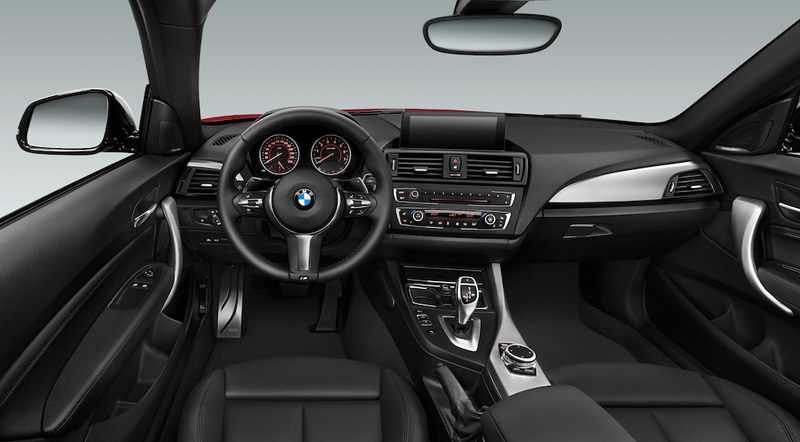 Most importantly, the M235i will cost from £34,250 with the standard manual gearbox. Given the performance, specification and quality the M235i offers, it’s hard to see it as anything other than a bit of a bargain. Whether it justifies the increase over the M135i hatchback is purely a question of how much you like the Coupé’s styling and image. 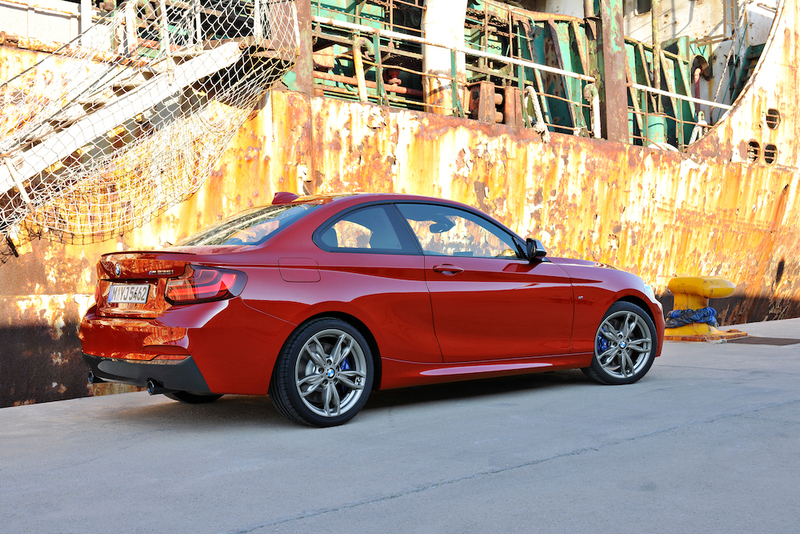 Following the launch in March 2014, 218d and 225d models will also join the line up. Further down the line, expect a cloth-roofed convertible version to also make an appearance. Expect more news from EngageSportMode as we get closer to the launch of the 2 Series Coupé and, hopefully, a drive in the M235i.